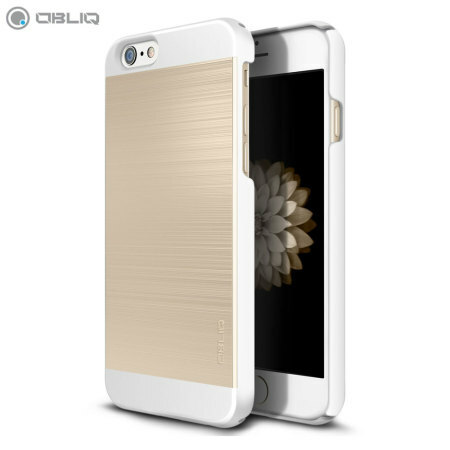 Protect your Apple iPhone 6S / 6 with the Obliq Slim Meta II Series case in black and champagne gold, which protects as well as providing a stunning full body protection in an attractive dual-toned design. 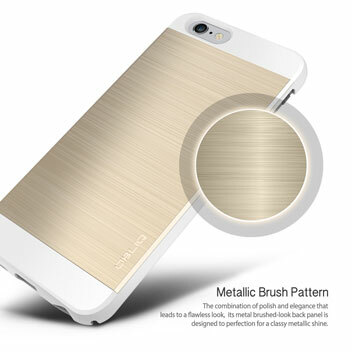 Great cover for my phone, love the champagne gold colour on the back . 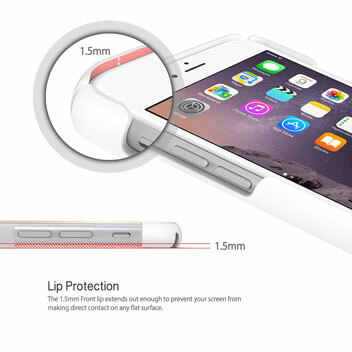 Fit is great with a lip to protect the screen if placed screen down. All the phones buttons are left exposed, instead of being covered up. 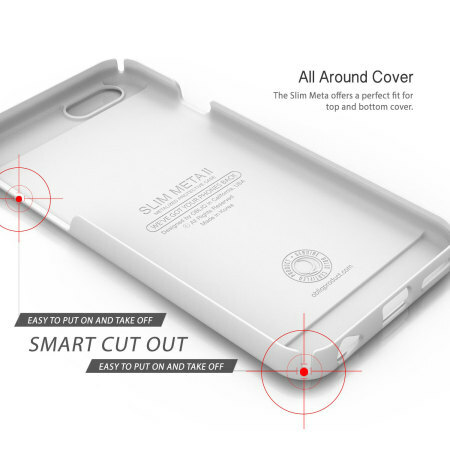 Protecting your Apple iPhone 6S / 6 shouldn't ever result in an unattractive case... Thankfully, the Obliq Slim Meta II not only protects your technological companion, but also features an attractive design that is slim and lightweight. Featuring polycarbonate for protection and a metal-style back plate for visual appeal, the Obliq Sim Meta case is the ideal case for keeping your iPhone 6S / 6 looking as good as new without detracting from the phone's gorgeous design. Protect your phone from scratches, knocks and drops with the Obliq Slim Meta II Series Case for the Apple iPhone 6S / 6. 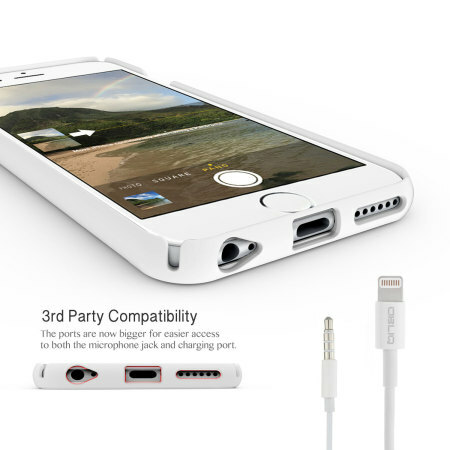 Featuring a construction that is tough enough to protect your device, without adding unnecessary bulk. 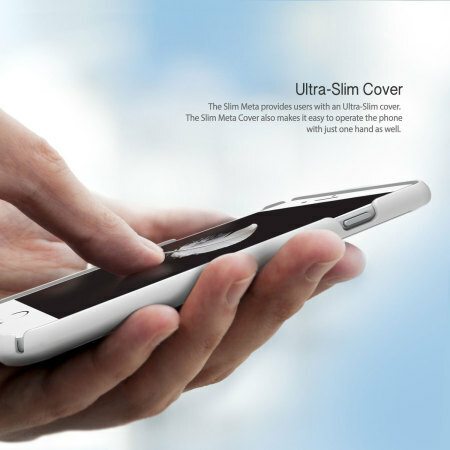 Designed with both form and function in mind, it is comparatively slimline providing the protection your iPhone needs without adding the extra bulk. Therefore, while being protected at all times, your iPhone 6S / 6 will still easily fit within a pocket or a bag. The case provides a natural grip due to the brushed metallic-style surface, so you can be sure of a good firm hold of your iPhone 6S / 6 and a flawless look. The Obliq Slim Meta II Case features cut-outs for all of the ports, such as the charging connector and camera. This also means you can leave the phone in the case and enjoy all of its features, ensuring it is protected at all times. Designed with the phone in mind, this case compliments the features of the Apple iPhone 6S / 6 so it looks just as good with the case on as it does off.